While the economy continues to suffer, it is of great importance for citizens to save money at every opportunity. Here at the Law Offices of Michael Kuldiner, P.C. we have been successful at lowering property taxes to their appropriate levels so that you no longer have to overpay. We are able to lower your property taxes using our intimate knowledge of the process and property evaluations. Do you feel you are paying too much in property tax? YOU PROBABLY ARE! The sooner the process is started the sooner we can save you money! Contact our Firm today at (215) 942-2100 so we can start your property tax appeal. We can quickly determine whether your property is over assessed and explain how we can begin the appeal process. Our process enables property owners to realize a great deal of savings afforded to them by the law. SERVICE ADVANTAGE: The advantage of our service is the fully contingent agreement. We do not charge a single dollar unless your assessment is reduced. This is a nominal one-time fee considering the tax savings you will enjoy for years to come. The deadline to file in Philadelphia is in early October. c. If the property is subject to an Agreement of Sale executed after the first Monday of October and before December 31st of the year preceding the tax year for which the revision is requested, the purchaser must file an appeal Application within thirty (30) calendar days from the date of the execution of the Agreement of Sale. The United States Supreme Court ruled in Allegheny Pittsburgh Coal Co. v. County Commission of Webster County, West Virginia, 488 U.S. 336 (1989), that the practice of placing a new assessment on property which was recently sold, while effecting only minor changes to real estate which has not been sold for a number of years, was a violation of the equal protection clause of the 14th amendment of the United States Constitution. Put differently, “welcome stranger” tax assessment is unconstitutional. To achieve equitable treatment of taxpayers, the courts require that all properties within a taxing district be uniformly assessed at a similar ratio of assessed value to market value in order to satisfy Article VIII, Section 1, of the Pennsylvania Constitution. This section stipulates that, “[all taxes must be uniform on the same class of subjects, within the territorial limits of the authority levying the tax . . . .” (Emphasis added). This provision applies not only to taxes imposed by the Commonwealth, but also to the taxes imposed by local units of government. Although the county board of assessment may not reassess an existing property because it has recently been sold, the sale of a property may alert a taxing district, such as a school district, to appeal the assessment based on the sales price. Taxing districts have the same right of appeal as property owners with regard to real property assessments. This right was upheld by the Commonwealth Court in In re Springfield School District 26 and Vees v. Carbon County Board of Assessment Appeals. 867 A.2d 742 (Pa. Cmwlth. 2005). 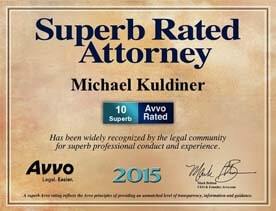 When you need an attorney to represent you with your legal matters, contact the Law Offices of Michael Kuldiner, P.C. in order to obtain the best results possible in each case. To arrange a consultation, please give us a call at (215) 942-2100 or contact us by submitting the form that’s on the right of the screen.